Discover a work of art with mirror pieces by our artist ! 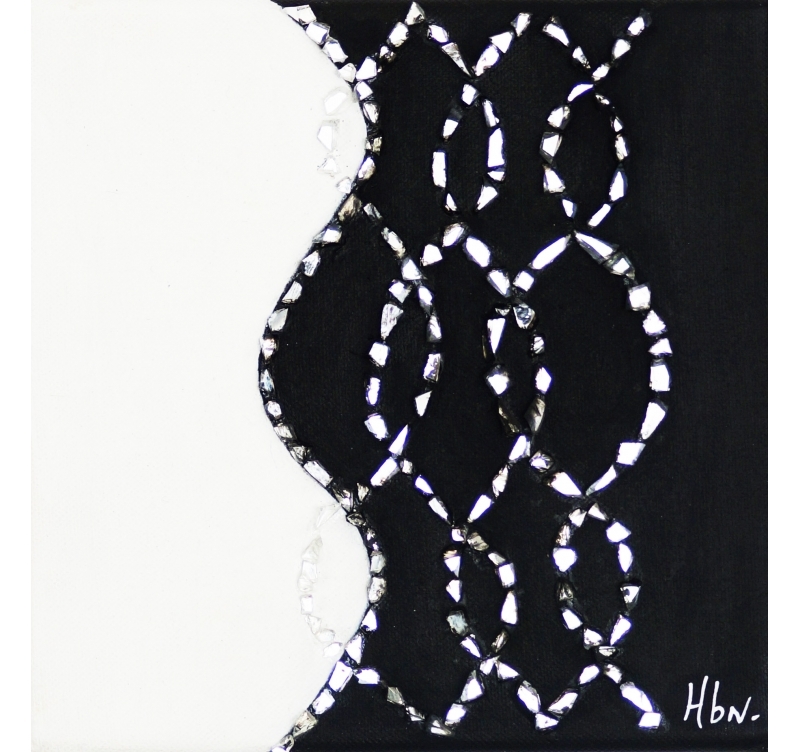 This black and white deco work mixes mirror collage and work with acrylic. The dimensions of this design oil painting canvas are 20 x 20 cm. Our artist is in charge of the safe delivery of this abstract oil painting on canvas. The artist Haute Brune joins the adventure Artwall and Co to propose you abstract and design paintings with mirror collages. This modern art work Caducia will captivate you with its original curves and lines while bringing a black and white touch to your interior. The mirror collage brings a unique style to this abstract art work to brighten up your interior or the wall decoration of your bedroom. This contemporary work is delivered with its frame for an easy hanging-up on your walls and is signed by the artist for authenticity. One copy only of this abstract design oil painting is available.